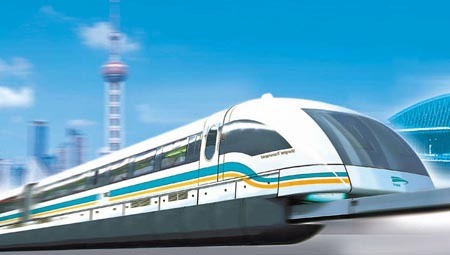 Shanghai Maglev Train Line extends for 29.863 kilometers from Longyang Station, Subway Line 2 in the west to Pudong International Airport in the east, making downtown Shanghai and the Pudong airport easily accessible to each other. With the highest speed of 431 kilometers/hour, Maglev is the world’s fastest commercial train service, with one trip taking only 8 minutes. Currently, the service runs from 06:45 to 21:30 at 15-minute intervals. The fare of one-way journey costs RMB 50, and that of a round-trip journey, RMB 80. With ticket or public transport pass, one gets a 20% discount. The fare of a one-way journey in VIP compartment is RMB 100, and that of a round-trip journey in VIP compartment, RMB 160.